Johnson’s® Baby Powder Play Factory in partnership with Nuffnang Philippines treated mom and kids to a fun afternoon activity aast February 1, 2014 at the Active Fun Bonifacio Global City. 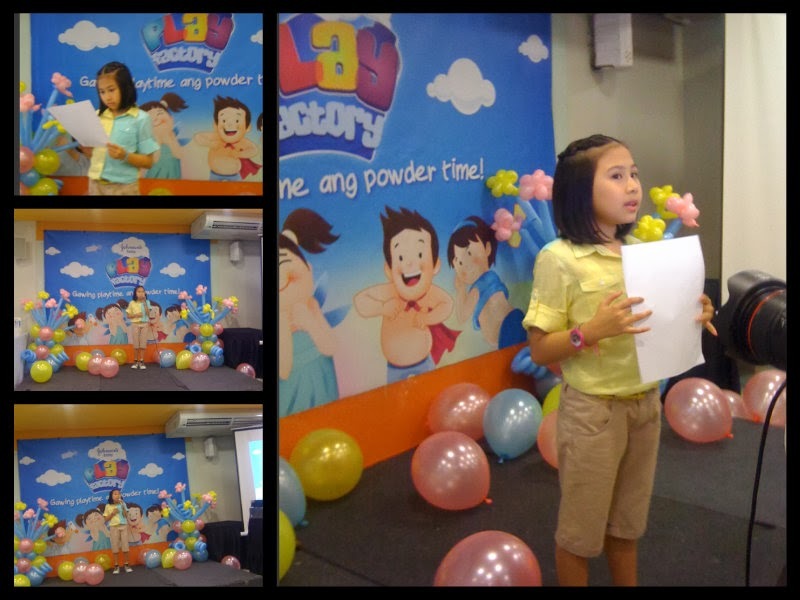 Trisha Luise Cañete and Mark Justine Alvarez are the new endorsers of Johnson’s® Baby Powder Play Factory. Cha Cha Cañete of "Goin' Bulilit" sang "Let It Go" much to the delight of the audience. She sings well and had actually recorded Johnsons and Johnsons Playdays jingle in her First Album: Bulilit Rockstar. Cha Cha Cañete's singing prowess won her the WCOPA silver medal. Johnson’s Baby Powder Play Factory suggests that applying Johnson’s Baby Powder on your kids can be a good bonding time and playtime activity with kids. Powder time can be playtime! Powdering play time ideas like guessing games while powdering make it more fun. Drawing letters and animals on your kid's back will stimulate his imagination. Moms and kids can recycle empty Johnson’s Baby powder bottles into exciting art pieces with a little creativity! Doing the "Presko Dance" will surely make powdering more fun with the Johnson’s® Baby Powder special pack, Play Factory! 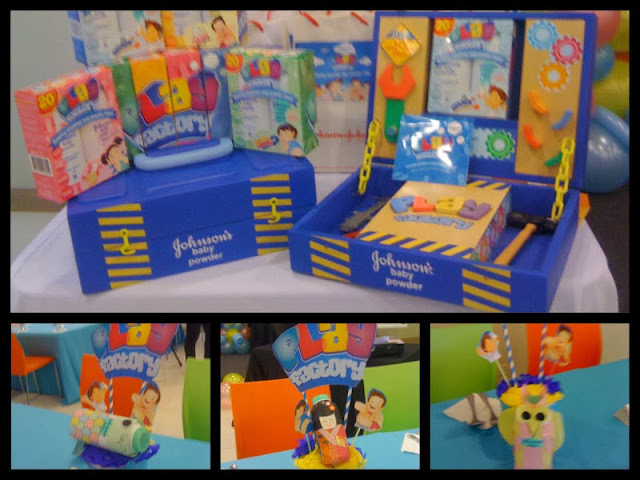 Thank you Johnson’s® and Nuffnang Philippines!